The amount of competition online today means that businesses are forced to be more innovative than ever in order to succeed. A powerful online presence has become a must for any business regardless of sector, and digital marketing plays a pivotal role in establishing brand visibility. A well-made website is one of the most useful digital marketing tools where potential customers can discover your business and learn more about the products or services offered. While starting a website is relatively easy, it takes time, effort, and determination to mold it into a web presentation which will attract your target market and convert them into paying customers. 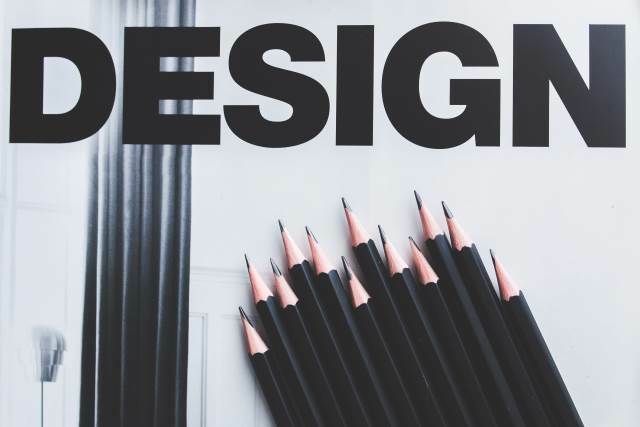 Your website is the primary channel that will meet your customers’ expectations and convince them to get to know your company better, so take a look at the three most important features of good web design and learn how you can use them to your advantage. A website can quickly turn into a confusing and overwhelming maze without proper navigation. Needless to say, a road map that can lead a visitor in the right direction and give them the best experience is a necessity. A well-designed website should have a consistent interface and include a main menu, usually found on the top and left of the page. Common subpages include “About,” “Contact,” and “Products/Services”. When it comes to navigation, the primary goal should be to minimize the number of clicks needed to reach any part of the website. Making sure your visitors can navigate their way around your website with ease will encourage them to stay longer and return to the website in the future. Navigation-related issues are a huge reason people bounce from websites and decide to take their business elsewhere. In fact, research compiled by DesignAdvisor shows that 50% of potential sales are lost because users find it difficult to locate the information they need! The proliferation of smartphones and tablets brought with an array of screen sizes and web-design-related challenges associated with them. The most popular approach to designing for a variety of devices is responsive design. Responsive design takes into consideration user behavior and the variety of screen sizes, platforms, and device orientations. A responsive website design should be flexible enough to accommodate different types of devices and adjust the resolution, image size, and scripting elements accordingly. Responsive websites have fluid layouts and scripts which reformat depending on the screen on which they’re viewed. Why is this so important? Studies have shown that a website that does not perform well on mobile devices is distrusted by 48% of users, who take the problematic design as an indication that the business lacks consideration and care for its potential customers. You can avoid this issue by making sure that your website is optimized for any device. A mobile responsive website can convince visitors to stay and continue to explore it, increasing the probability of converting them into customers. The ease with which your visitors are able to interact with your website and find the information they’re looking for can significantly contribute to a positively perceived user experience. From the moment users land on your website, first impressions are already forming based on the layout and navigation. Ensuring these design elements are on point can decrease the bounce rate and increase the rate of return visitors. Providing a first-rate user experience can be as simple as opting for a minimalist design with plenty of white space, incorporating video, or implementing interactive elements that can attract viewers and help them navigate your website more easily. When you make sure that your visitors enjoy the time spent on your website, they will stay there longer. Just like a healthy bounce rate, users spending more time on site is a positive indicator to search when it comes to site rankings. Other areas you can tweak and improve on are compelling copies, call-to-action buttons, and visually appealing images that are optimized for the web. Beyond aesthetics, your website should be useful and functional. These three tips will help you communicate and connect with your visitors more efficiently — a sure-fire way to increase conversions and grow your revenue.